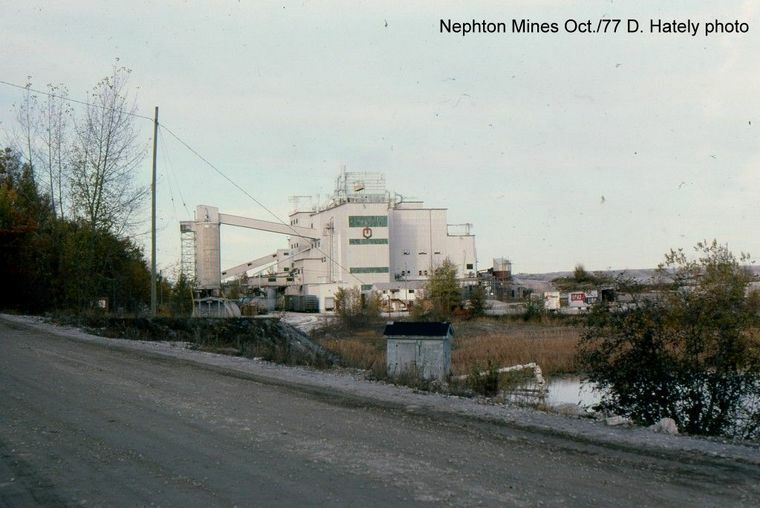 Nepheline Synite Mine served by the Nephton Branch, a 'new' branch constructed in the 50's to serve the Mine. 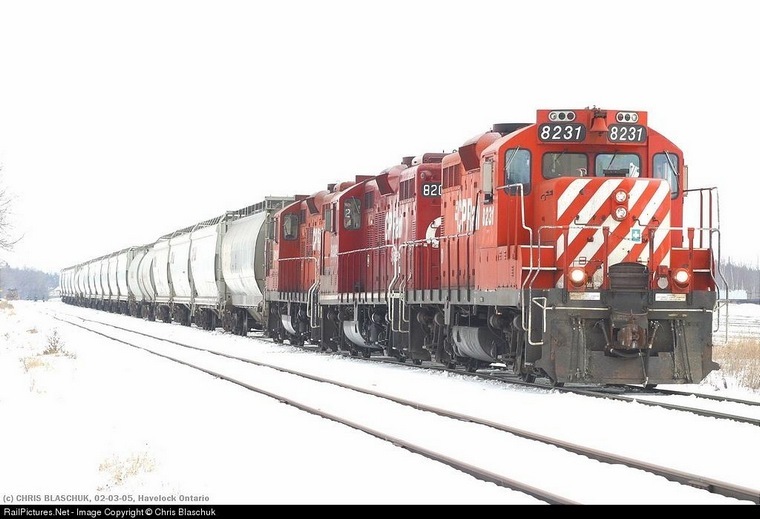 Low volumes prompted Canadian Pacific to abandon the branch, offering alternative trucking solution to railhead far away. 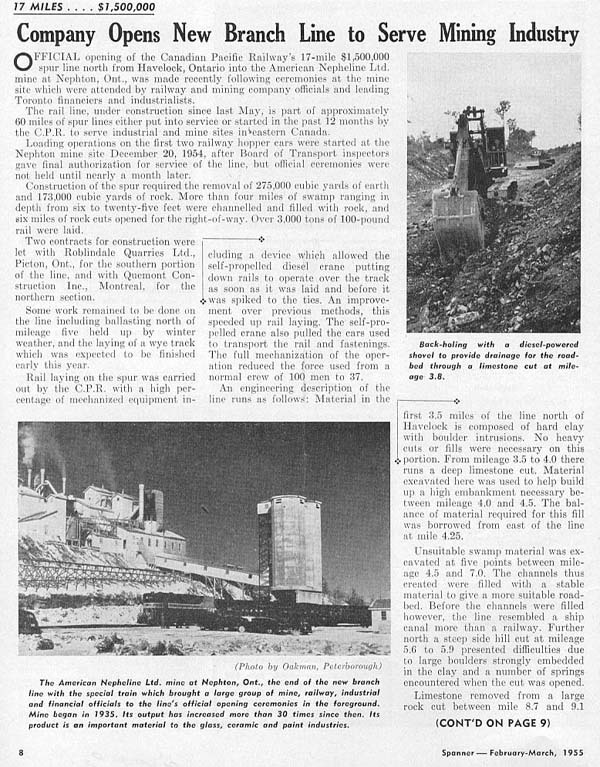 Mine owner, having some clout because much shipping from other sites throughout Canada tells CP to forget about that plan, we want the trains. So kind of a reverse branchline abandonment. Did not happen. 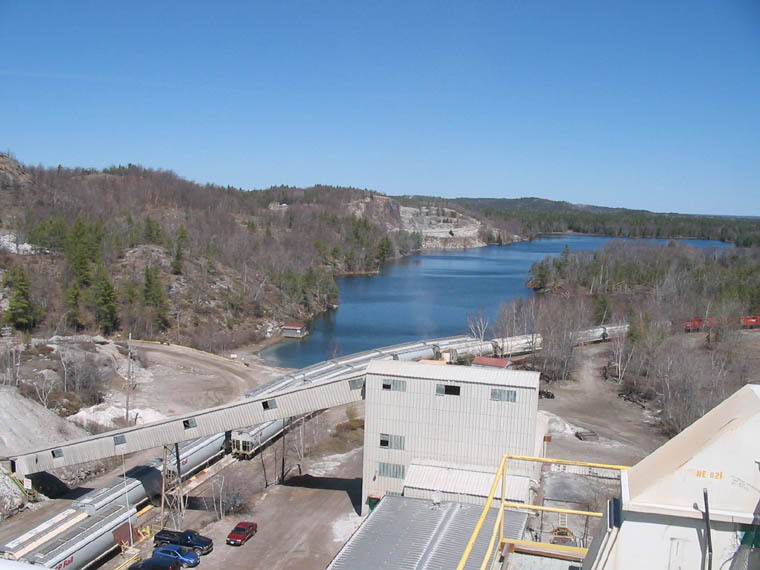 This scene shows the rugged beauty of the area around the mine and crusher at Nephton. Heading north at Mile 9.98 Nephton Subdivision. Same day. the run to the mines at Nephton and Blue Mountain. There were 22 cars which included a Pacific Fruit Express reefer. 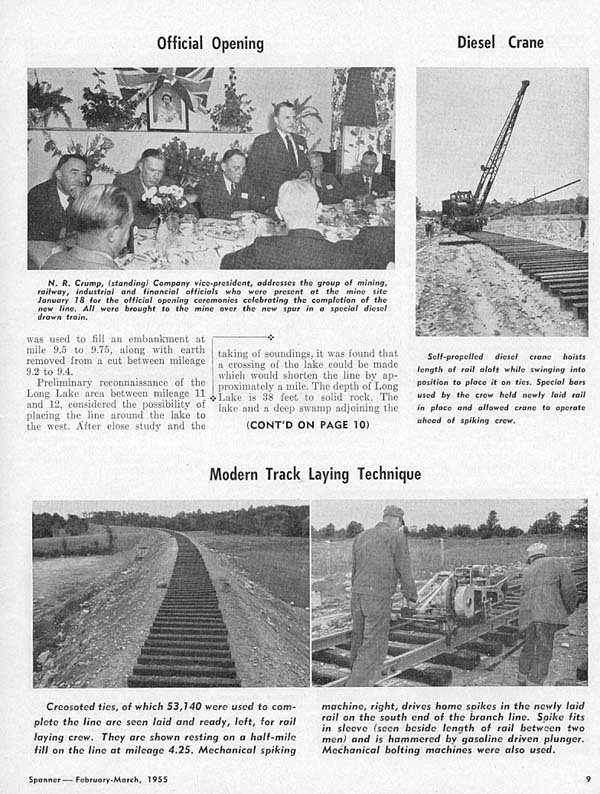 Sorry Spanner Article got cut off... here is the link which I should have posted instead Spanner February-March 1955 Brand new RS-10 8481 built 4/28/1955 hauled loads depicted in article. 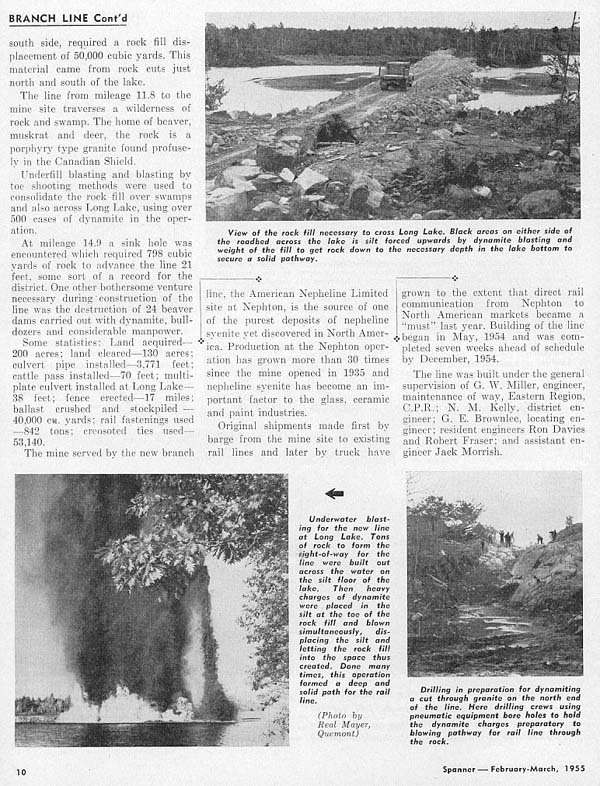 However, the first loads actually left the mine December 20, 1954. 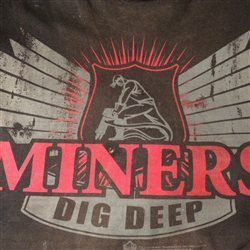 Is the mine operator willing to pay a higher compensatory rate to CP for continuing operation of a branch that has apparently been operating at a loss? CSSHEGEWISCH -- Took a while but here is what must be the answer. It's a bit innovative for sure! Makes me wonder if there was trouble. NCHX_38769 assigned to Indusmin mine in Nephton. 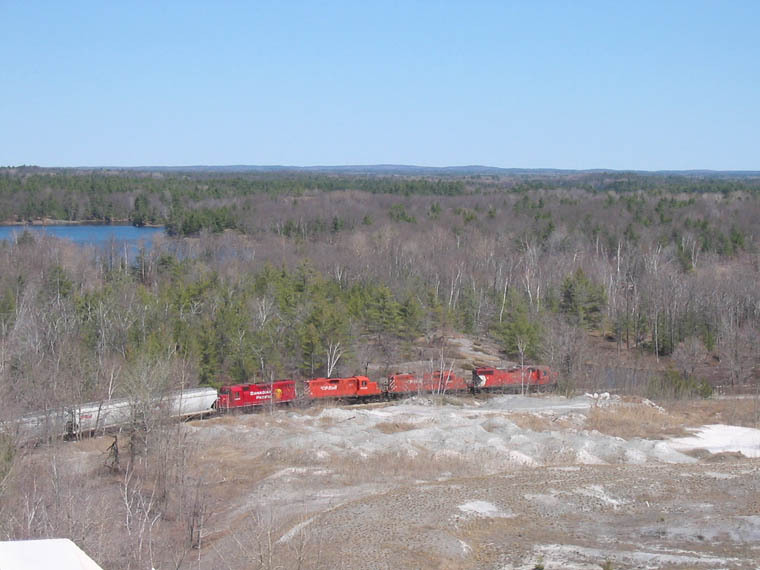 The Kawartha Lakes Railway was created on October 1, 1996 by the CPR as an internal shortline, a late 20th century method of local management and employee involvement utilizing an easing of restrictive union rules. It is still owned 100% by the CPR. There are no locomotives or other equipment owned or lettered for the KL. 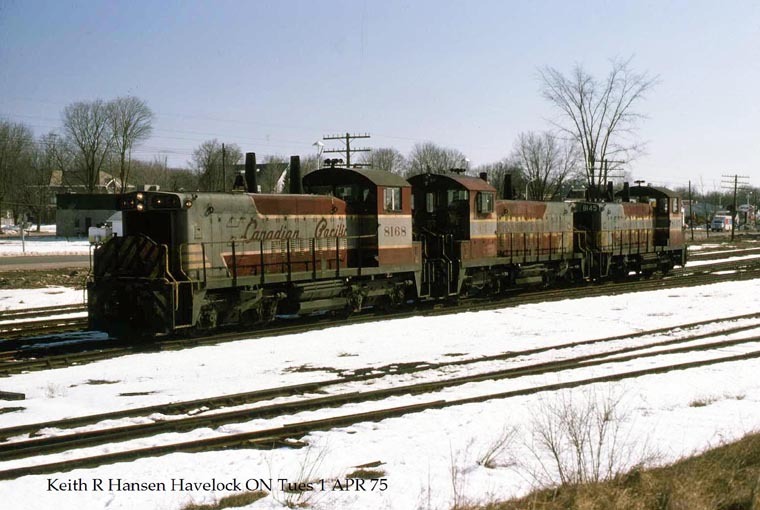 Diesels are "leased" from the CPR as required with maintenance included. Traffic is stagnant and its future is still undetermined. 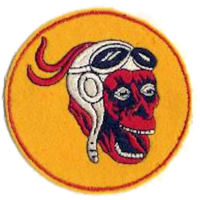 It is comprised of the Havelock Subdivision from Agincourt to the end of line at Mile 90.8, just past Havelock, and the entire Nephton Subdivision. 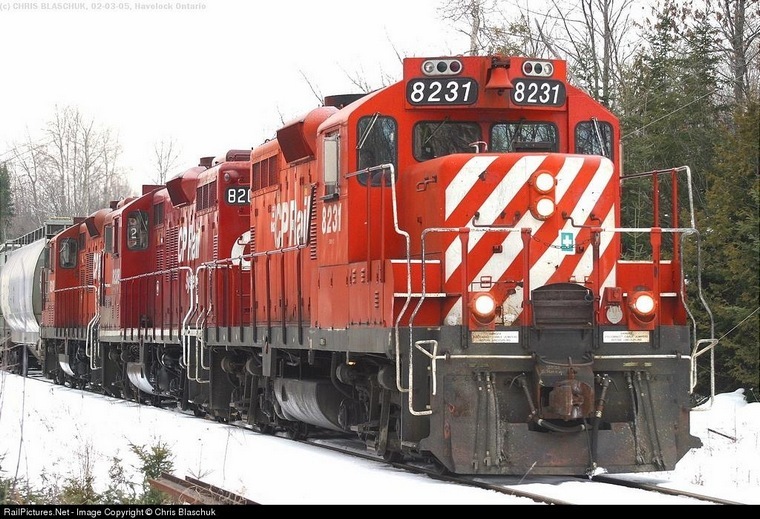 There is also a small amount of former CNR track in Peterboro serving local industry including GE Canada.